The star of the site of Arcachon Basin - the pool! 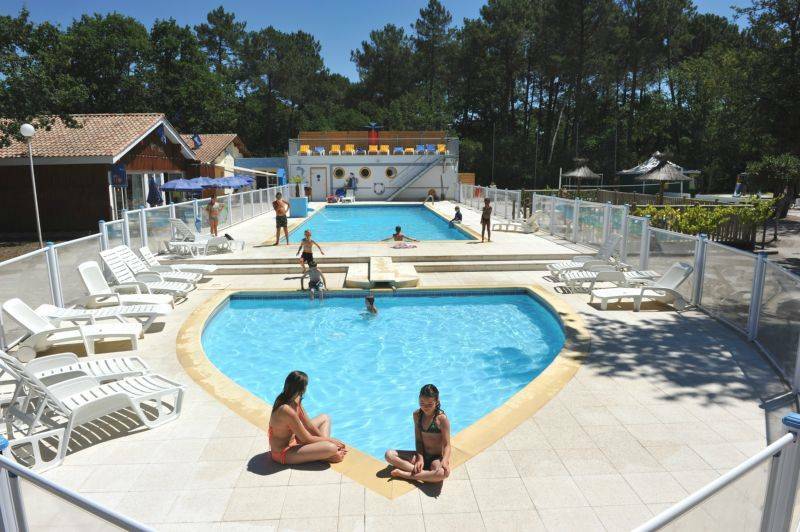 We look forward to welcoming you to our heated waterpark here at the heart of Arcachon Bay. 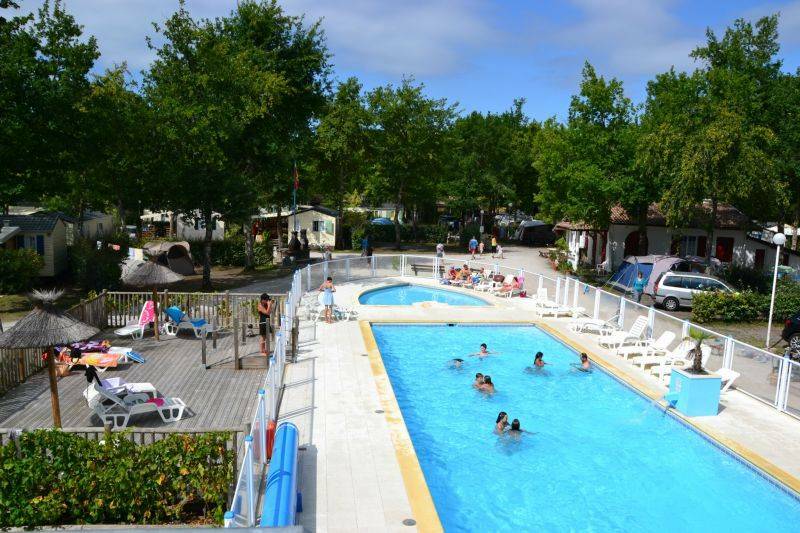 The swimming pool and paddling pool look particularly impressive on the silver screen... That’s because our pool was used as a filming location for the French films "Camping" and "Camping 2"! With our waterpark just as stone’s throw away from your pitch or mobile home, you can just grab your towel and head to the pool for a spot of rest and relaxation. Loungers are provided around the pool for those who want to top up their tan or simply take it easy. 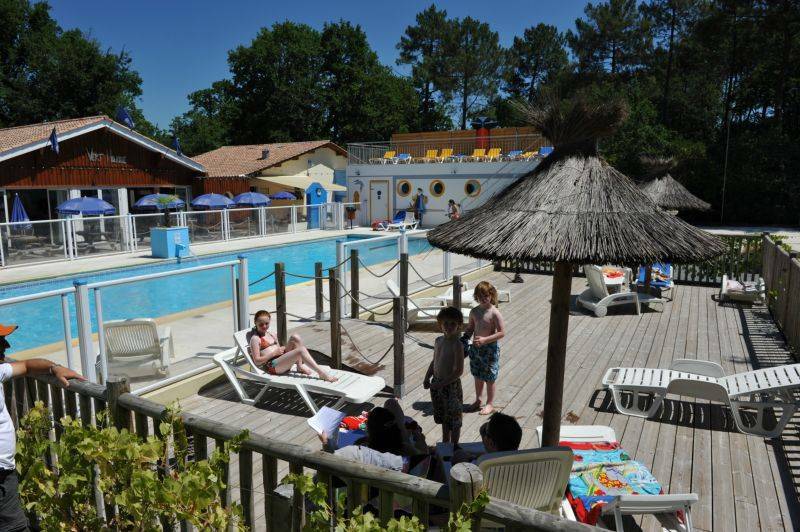 And both adults and children will welcome the chance to cool down on sunny days in Arcachon Bay. Or you can enjoy the happy and relaxed atmosphere as you take a break between sightseeing trips and walks. Terrace, solarium, relax at the pool in Arcachon Basin. Just like Patrick Chirac in the film, you’ll find the pool a great place for relaxing and meeting people. In addition to the heated pool you can also treat yourself to a moment of pleasure and relaxation in the solarium. And littles ones will love the boat-shaped paddling pool! Open from 01/06 to 15/09 from 10am to 9pm.